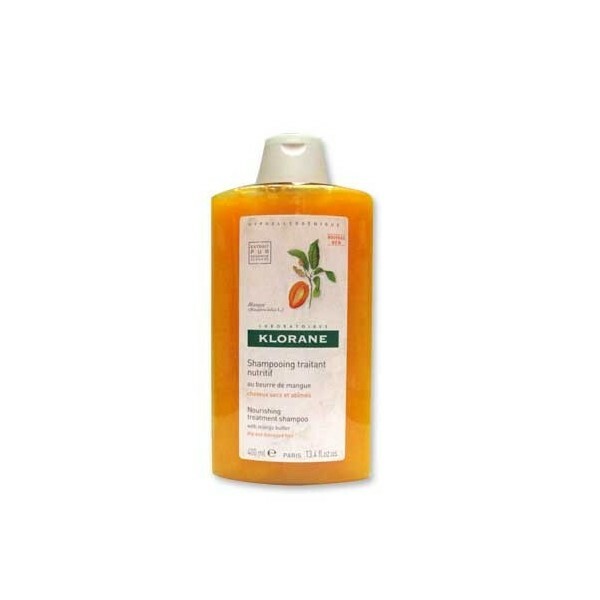 Klorane Nourishing Shampoo with Mango Butter 400 ml Indicated for Dry and Damaged hair Restores hydrolipidic film. Protects hair. Properties Klorane Laboratories have selected mango butter for its richness in essential fatty acid nutrition. Nourishing Shampoo for Klorane Mango Butter nourishes and restructures the hair fiber, closes the cuticle scales and repair the cracks in the film hydrolipidic that protects hair from dehydration. The nutritional gesture to get a closer antidesecamiento action. Results Hair flexible, light and bright in the light. Hair with a surface so nurtured and smoothed noticeably reduce breakage during styling. Hypoallergenic *. Employment Tips Apply to wet hair. 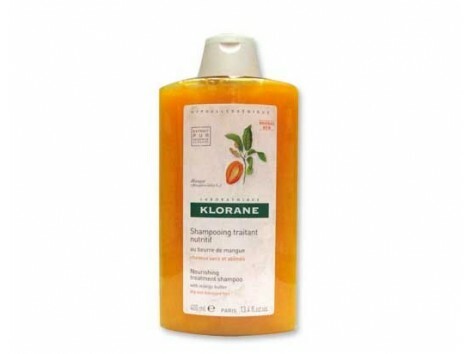 The rich and creamy texture of shampoo at Klorane Mango Butter melts into your hair to wash and thoroughly nourished. Leave on for several minutes to facilitate penetration of the assets. Rinse with water. In case of contact with eyes, rinse with water. Composition * Mango Butter - 0.3% Nutrition * Polysaccharide Catiónioco - 0.5% Hydration, protection and disentangled * Lipoproteins, Wheat - 1% Protection and redress. * Wax Softeners Repair and untangled. * Base Lavante Cleaning action and balancing * Prepared to minimize risks of allergic reactions.